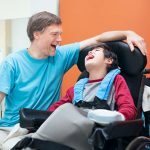 Who is Eligible for In Home Disabled Services? In home disabled services may not be for everybody but does cover a large range of situations and people. We can help with our disability services consulting to advise on the best support and care plans for any given scenario. Our friendly and highly experienced team can provide consulting services throughout Queensland and further afield. Dealing with a disability can at times feel like you are alone or overwhelmed by your situation. We don’t want anybody to feel that way, which is why we will help you with our disability services consulting to determine what help is available to you. In home disability services can offer a range of solutions and support that you might not even realise is a possibility. Every disability and situation is different so it may be difficult to determine your eligibility. Our disability services consulting team will help you establish what funding you may be entitled to and what services will best help you. 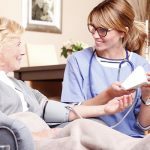 Apart from a diagnosis, another way to tell if you need in-home disabled services is if you are having physical trouble performing day-to-day tasks due to old age or frailty. Often a family is faced with a difficult decision when an elderly person begins having difficulty around the home. The family may wish to support the elderly family member but it is not within their capacity to do so. 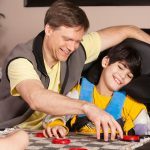 In this case, it is possible that in home disabled care could be provided. The funding for this care could be privately or NDIS funded, depending if the person qualifies. Due to the comprehensive and holistic nature of our treatment we provide support for families and not just individuals. 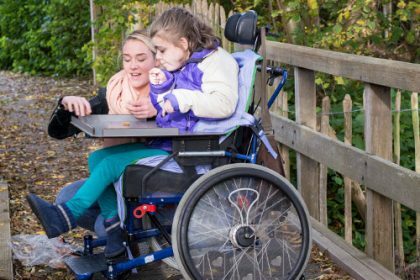 We realise that a disability doesn’t just affect the person with the disability, but also those in the family unit. Contact us on 1300 435 782 or through the website, so we can talk about our disability services consulting further.